These locations look like stepping into an ancient painting. Stark and striking rocks, rushing water and a profusion of beautiful autumnal colour! Easily accessible from the Tateyama Kurobe Alpine Route snaking between Tateyama, Toyama Prefecture and Omachi, Nagano Prefecture, these locations are a favourite with tourists and outdoor activity enthusiasts. 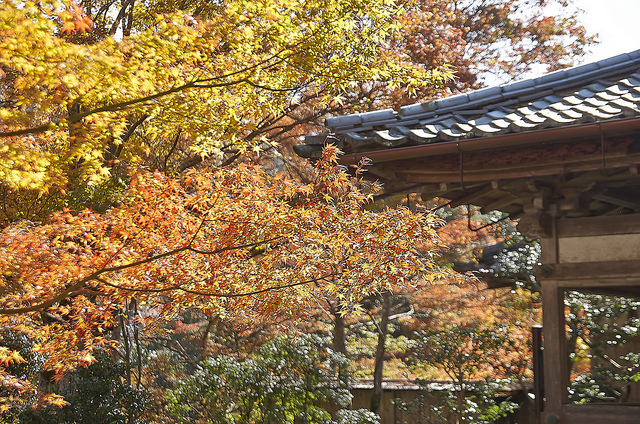 The precincts of this temple are thronged with trees that burst into a riot of colour come autumn. 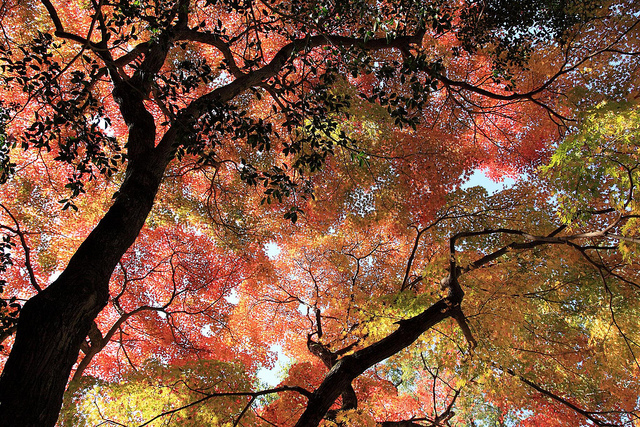 Located in Sakurai, Nara Prefecture, it is an ideal stop-off for anyone touring around Kyoto, Nara City or Osaka. Well, as if the name wasn’t evocative enough! The remains of this castle, built in 1203, are dotted with sakura and maple trees, making it a popular spot in both spring and autumn. Plus, since it is in Fukuoka Prefecture, you’ll be able to get yourself some amazing ramen when you’re done looking at all the scenery! One of the oldest temples in Eastern Japan and located on the side of a mountain in Shiga Prefecture, its main hall and pagoda are designated national treasures! When autumn rolls around not only do the trees turn into a riot of colour, but autumnal blooming cherry trees also burst into life. 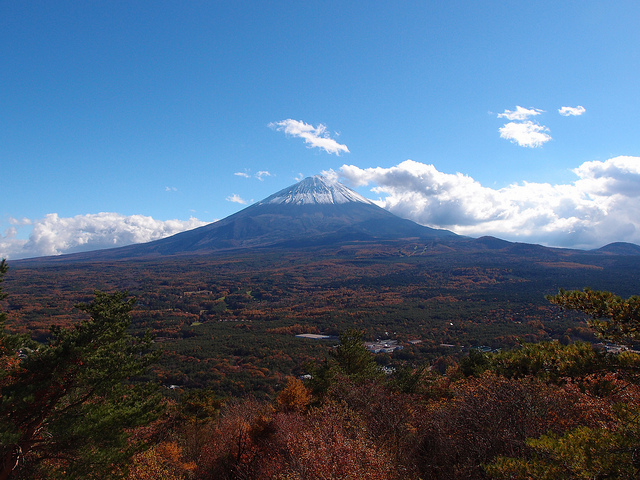 Looking out over the beautiful countryside of Yamanashi, the unique positioning of this viewing platform gives you a stunning look at not only autumn colours, but also Mt. Fuji and a whole host of other mountains. Looking for travel guides, phrase books or other essentials? Look no further than the large range of books, magazines and of course delicious food available online at Japan Centre. 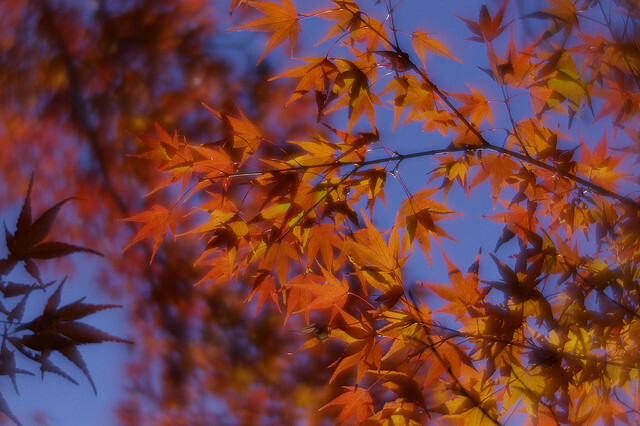 Posted in Uncategorized and tagged japan, japanese culture. Bookmark the permalink.